Canada's financial consumer watchdog says there are "insufficient" controls in place at the country's biggest banks to prevent sales of financial products that are misrepresented or unsuitable for consumers, and the banks' sales-focused culture elevates the risk that employees may flout consumer protection rules. The Financial Consumer Agency of Canada (FCAC) released the findings Tuesday after completing a review of business practices at Canada's Big Six banks. The review came in the wake of a series of CBC Go Public stories that highlighted allegations of questionable sales tactics as bank employees said they felt pressured to sell customers on unnecessary products and services. The FCAC added it is investigating alleged breaches of rules of conduct — designed to protect consumers, and which banks are required to follow — that may have been identified during its review and will take action where appropriate. "Banks are in the business of making money. We know that. But the way they sell financial products and manage employee performance, combined with how they set up their governance frameworks can lead to sales cultures that are not always aligned with consumers' interests," FCAC commissioner Lucie Tedesco said in a statement. However, it concluded that retail banking culture is predominantly focused on selling and rewards employees for doing so and that increases the risk that client interests are not always given the appropriate priority. The agency also said the controls these banks have in place to mitigate the risks of misselling are "insufficient" and "underdeveloped," particularly compared to the banks' robust corporate governance policies. The Canadian Bankers Association said Canada's banks are client-focused with a commitment to high ethical standards and complying with the law when providing products and services to help customers meet their financial goals. 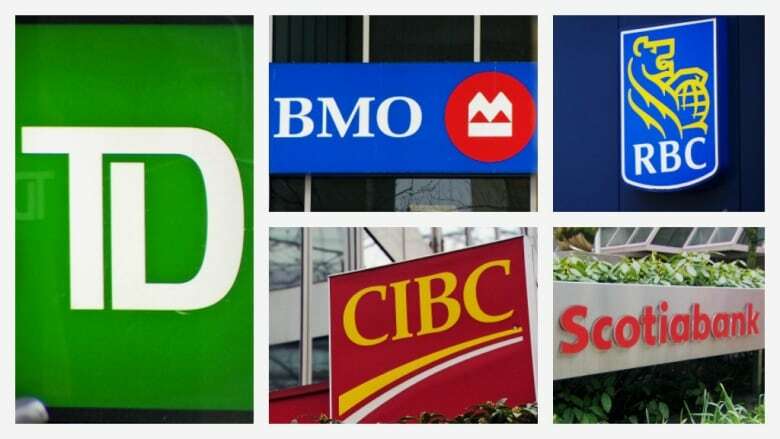 "The six largest banks in Canada co-operated fully with FCAC and we are encouraged that the review found no widespread misselling and that banks get this right the vast majority of the time," association president Neil Parmenter said in a statement. The Canadian Foundation for the Advancement of Investor Rights and the Public Interest Advocacy Centre said the government should work toward having one national, statutory ombudservice for financial services complaints that can issue binding decisions. Marian Passmore, director of policy at FAIR Canada, said the rules are inadequate. The review was launched last April after CBC News reported that some bank employees alleged they felt pressure to upsell, trick and even lie to customers to meet sales targets. The reports also prompted the House of Commons' finance committee to hold a series of hearings examining the allegations last June. The federal banking regulator, the Office of the Superintendent of Financial Institutions, also last summer said it was reviewing domestic retail sales practices at Canada's key banks, focusing on "risk culture" and "the governance of sales practices." TD Bank, the focus of the initial CBC reports, has conducted its own internal review and concluded it did not have a widespread problem with aggressive sales tactics. The Ombudsman for Banking Services and Investments (OBSI), which handles customer disputes for Scotiabank, CIBC and Bank of Montreal, said it opened 370 banking-related investigations in 2017 to handle customer disputes for its clients, compared with 290 a year ago. The dispute resolution firm said last year's surge in new cases marks the highest level the industry ombudsman has seen in the past five years. The FCAC said in its report Tuesday that the banks are in the process of enhancing their oversight and management of sales practices' risk. The watchdog also plans to "implement a modernized supervision framework that will allow the agency to proactively ensure banks have implemented the appropriate frameworks, policies, procedures and processes to mitigate sales practice risk." The FCAC will also increase its resources for supervisory and enforcement functions, it said. The federal government said in its budget last month it would introduce legislation that "would strengthen the Financial Consumer Agency of Canada's tools and mandate and continue to advance consumers' rights and interests when dealing with their banks."